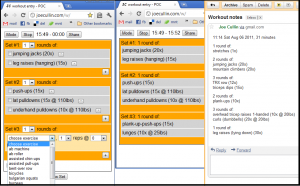 Since April I’ve been logging all of my workouts & runs here on this blog, in the workout log section. 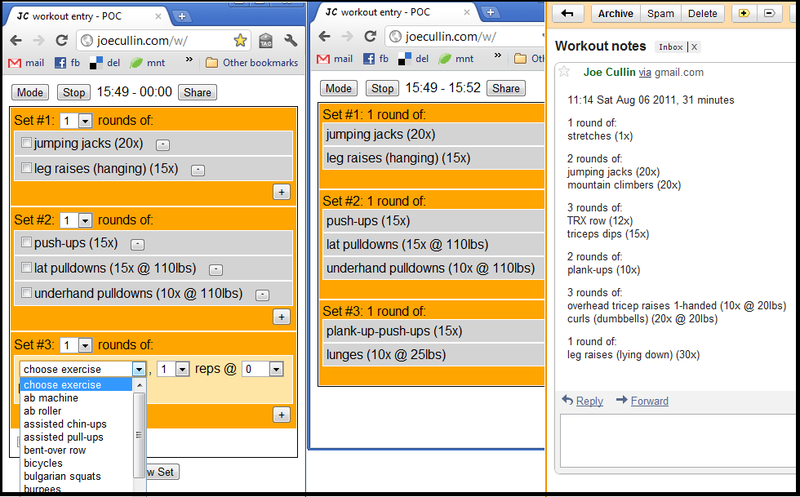 But writing the workouts down on scraps of paper, and then later taking the time to type them up, was getting tedious. I threw together a web form to make it easier. Now I can carry my phone around the gym, taking a few seconds between exercises to record my workout. This entry was posted on Friday, August 12th, 2011 at 11:47 pm and is filed under fitness. You can follow any responses to this entry through the RSS 2.0 feed. You can leave a response, or trackback from your own site.